While my makeup game is not strong, and I will probably never slay the latest looks, the one thing I am decent at is doing my nails. I change polish at least once a week, and love changing things up in terms of designs and aesthetic. Sometimes I go way over the top with the detail I put in, while other weeks I prefer to keep things simple. However, since switching to all natural beauty, nail products were the one thing I found it hardest to switch over. That is, until I discovered Glossworks. 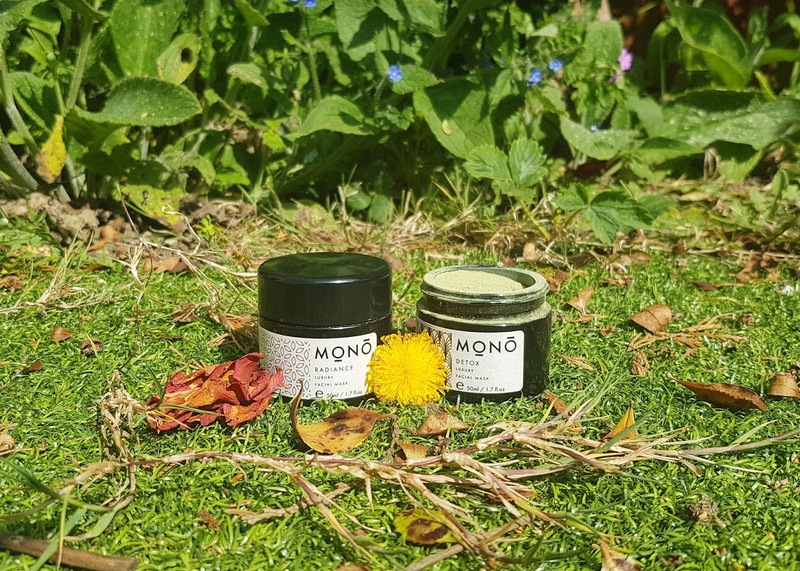 Not only are their nail varnishes cruelty free, vegan, and 9-free (meaning they contain no formaldehyde, formaldehyde resin, toluene, DBP, camphor, parabens, xylene, ethyl tosylamide, or lead), they also offer everything you need for a full manicure -- from cuticle oil and nail polish remover to base coats and quick dry top coats! Glossworks has a huge range of colours, and have even started coming out with some special effects shades like the gorgeous metallic "Goldfinger." I love how varied the brand is, as they really offer a look for everyone. 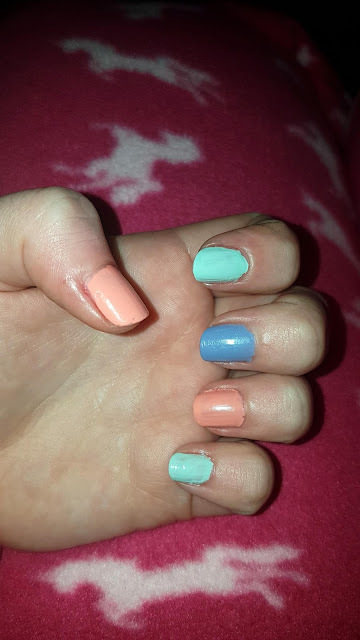 I personally go for a bit of shimmer or cool tones, but my newest love for spring has to be pastels. So when I saw the announcement for the latest line from Glossworks, I jumped on it! There are six new colours perfect for the change in seasons: Fandango Fizz, Cool as a Cucumber, Hyacinth Bouquet, Bellini Blush, Sunset Boulevard, and Come Clay With Me. I immediately was drawn to the three in the middle, so without hesitation I made my order* and not too long later I had my Love Lula parcel waiting in my porch. Time to get my gloss on! I first had to remove my sad chipped matte red (that, I might mention, only lasted a single day! This was from a non-natural brand, though still "free-from" three nasties), so I set to work with my freshly ordered Glossworks Nail Polish Remover. I have been wanting to try this for ages, and I was pleasantly surprised not only by how well it worked, but by the lightly fragranced grape smell that accompanied the whole process. I find most removers give me a bit of a headache from their overpowering chemical scent, but this one was subtle and did not give me any problems. 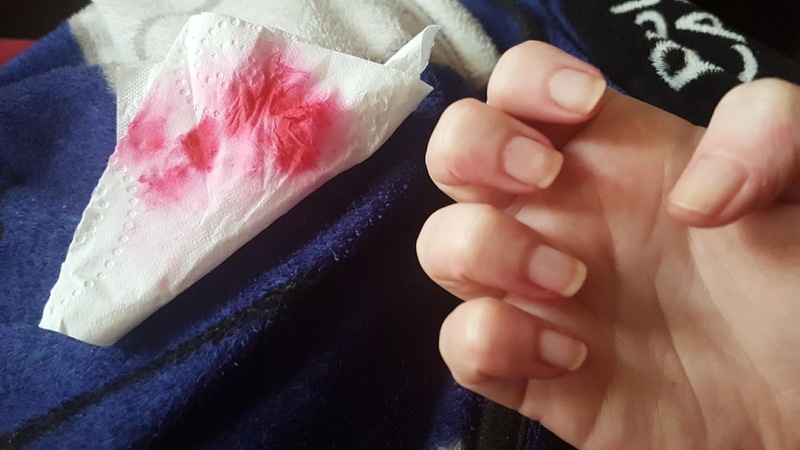 The remover didn't have any issue taking off the bright red colour, and actually only took one application which was impressive. Better yet, my skin didn't have that dried out feeling I used to get from harsher acetone products, and if anything it actually felt moisturized thanks to the added argan oil and vitamin E.
I always use a nail oil after I have wiped my nails clean, and the one by Glossworks is absolutely lovely. After getting this in a Love Lula Beauty Box, I ended up buying two more bottles as I love the light scent of avocado it has, plus it does a great job of sorting out my cuticles and seems to have made my nails more flexible and healthy. After letting the oil sink in and dry for about fifteen minutes, I was ready to set to work on my master mani. I have been feeling really tired lately (the effects of really low iron count, early mornings, and zero sunshine), so although I was not up for any proper creations last night, I was happy to just appreciate just how lovely these new shades are. Apologies for the pre-clean up picture, but I wanted to show you just how much they pop on their own before I even added any top coat (or my signature sparkle!). I found Bellini Blush (which is the perfect salmon shade - not too orange, not too pink) and Hyacinth Bouquet (which is a seriously out of this world periwinkle blue) were fully opaque with just a single swipe, and even Cool as a Cucumber (almost like a bright sea-foam green bordering on eggshell blue) faired well with just one thicker coat. All three are more amazing than I imagined, and they are exactly the spring shades I was looking for! And they go brilliantly together! 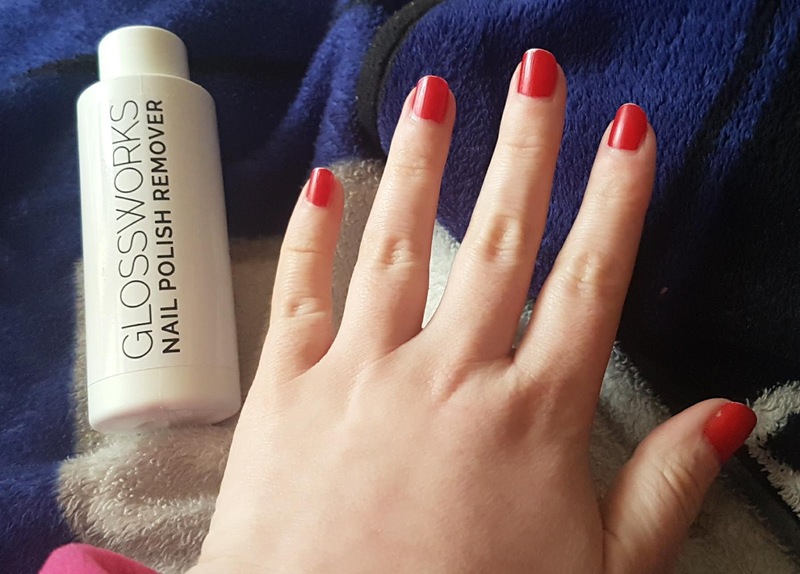 I waited about six to eight minutes for my nails to be fully dry before I added a second coat for lasting power, then after that had dried I added a single stroke of the Glossworks 3-in-1 clear coat (which, for a multi-purpose product is genuinely really good!). 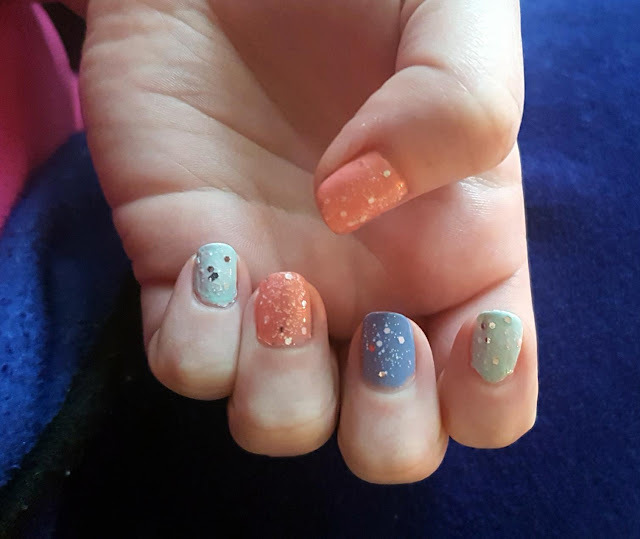 I finished with a speckled glitter effect polish I found in my cupboards, and ended up with this fantastic Cadbury min-eggs Easter-vibe in the end that I am really happy with. I have been wearing this look for over 24-hours now, and still no dents or scratches or chips -- if it is anything like the rest of the Glossworks range I expect it will last a minimum of six or seven days for me, which for how rough I am with my nails is impressive for any polish. Since I am loving these three shades so much, I am thinking of going back to Love Lula to also buy Sunset Boulevard. While I am not usually one for oranges, I think the slight shimmer in the formula looks stunning in the images and I want to see what it looks like IRL. I would love to know what bottles you have your eye on, or if you have any other nailspiration for me, let me know in the comments below! And if you want to keep up to date with The ecoLogical, be sure to follow via Blogger or Bloglovin by hitting the "subscribe" button! 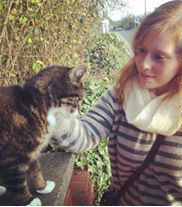 You can also see exclusive content (and my latest nail looks!) on Twitter, Instagram, and Pinterest. Great that this range is so long-lasting. And good tip to use nail oil! These look gorgeous, I love the pastel shades - perfect for Spring which I can't wait for! Love a good manicure and these colours look so pretty. I’ve got a few favourite nail paints which i apply the most. I'd never heard of 9-free before. It's quite scary the chemicals that are in some brands of nail polish - particularly lead!